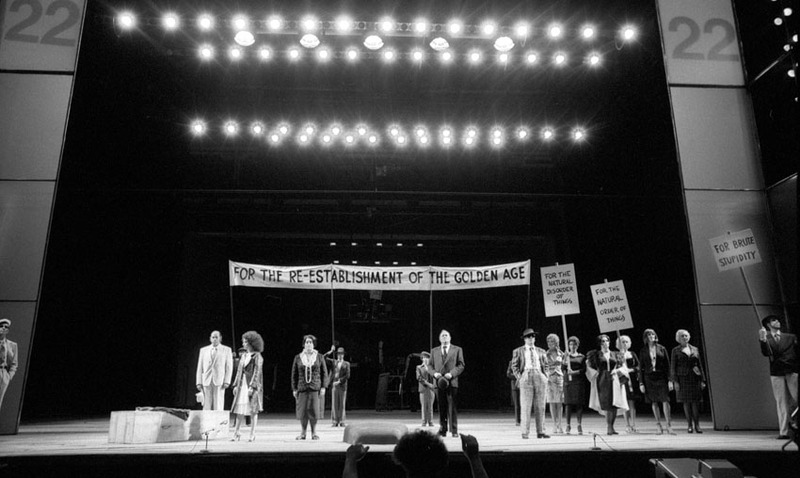 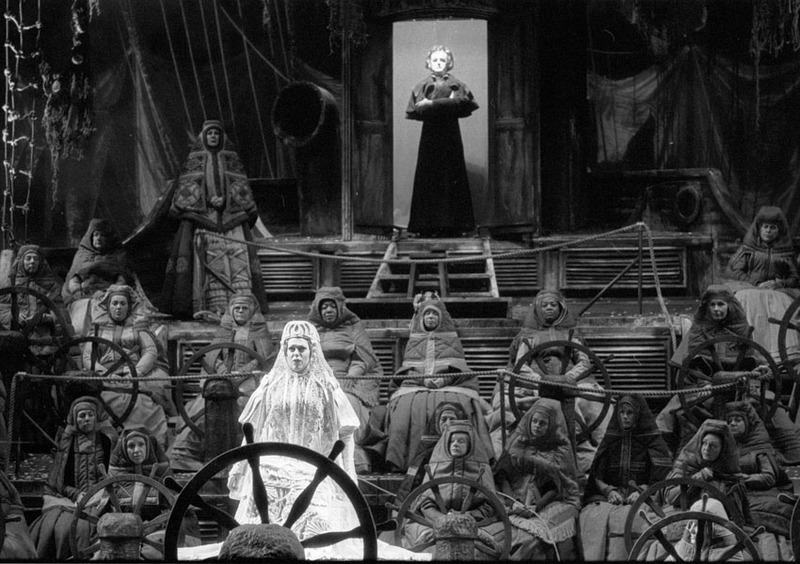 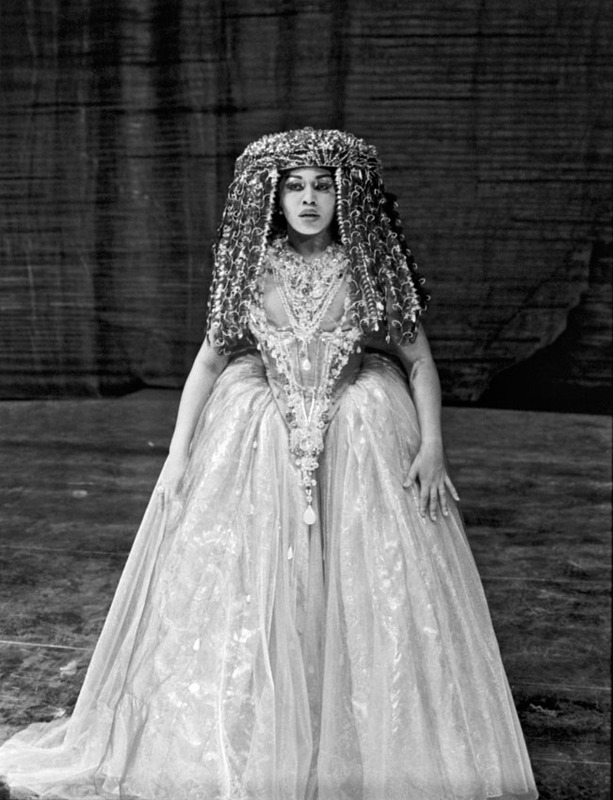 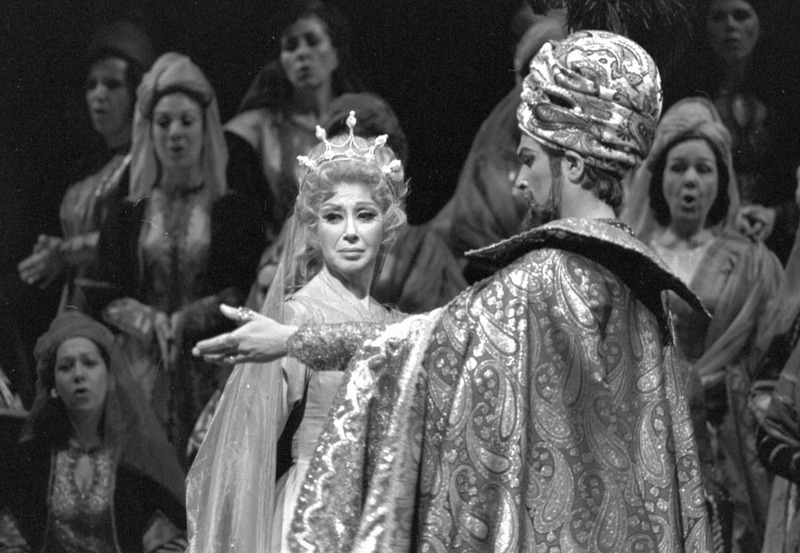 This year The Metropolitan Opera celebrates 50 Years at Lincoln Center. 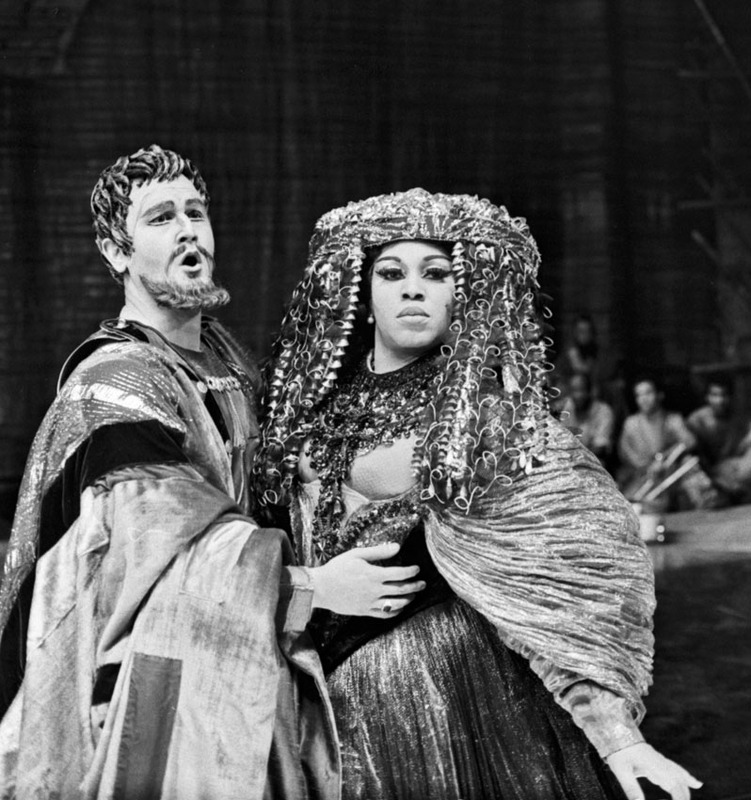 Here are some highlights from Jack Mitchell's more than fifty sessions photographing the Met. 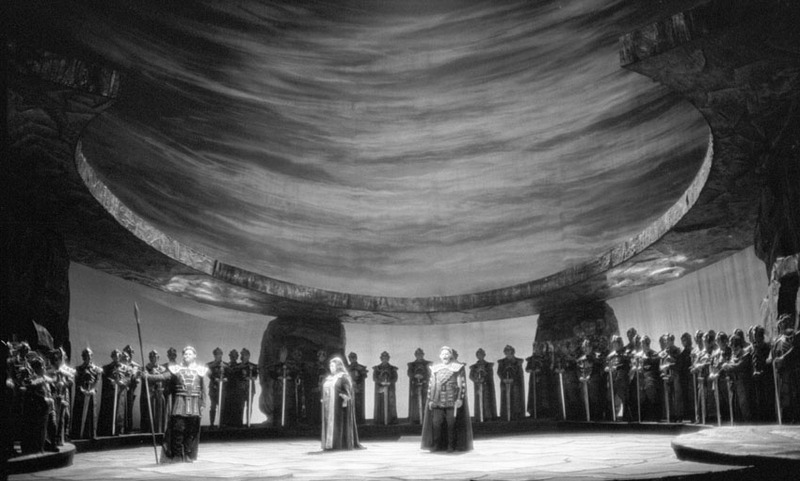 by American composer Samuel Barber, commissioned to open the Met's new house at Lincoln Center. 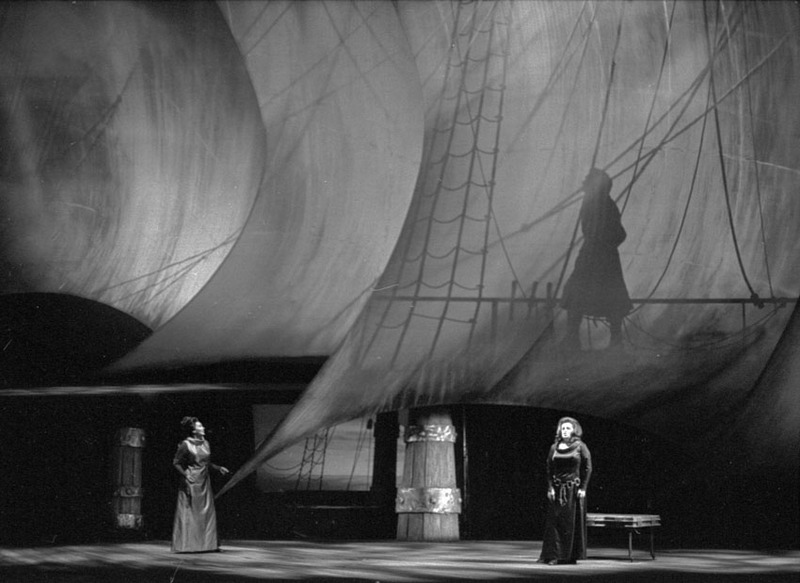 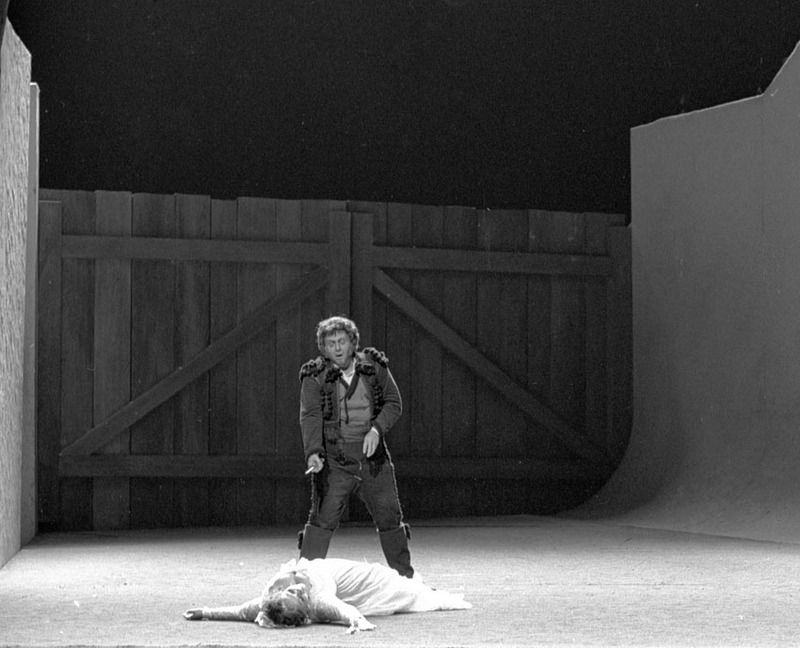 as Wagner's Isolde, in the Met's Tristan und Isolde, with Jess Thomas as Tristan (below). 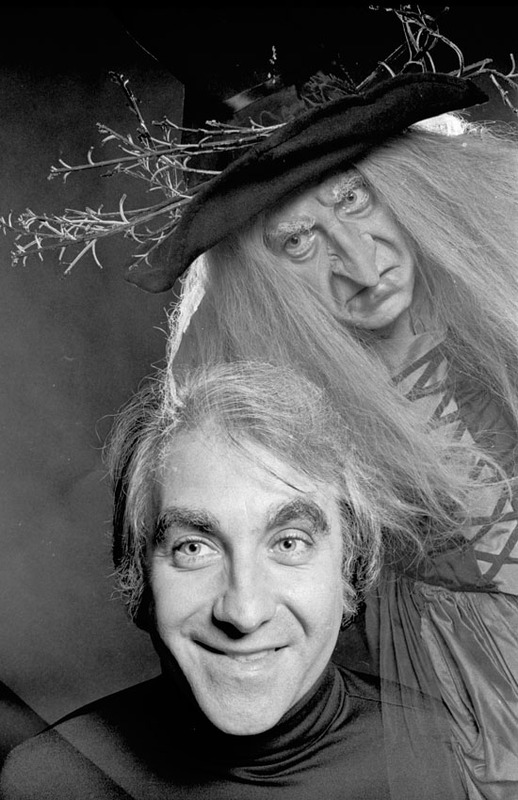 best character actors, in the background you see him in costume as the witch in Hansel and Gretel. 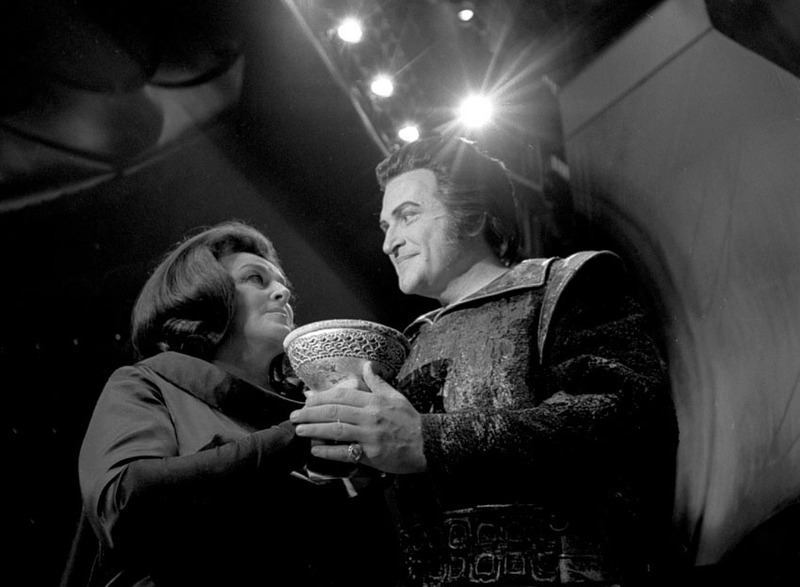 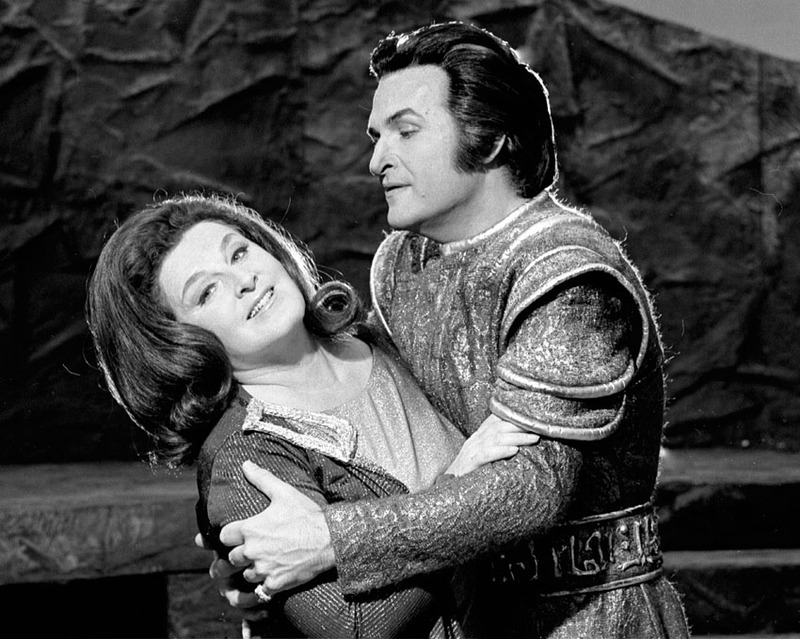 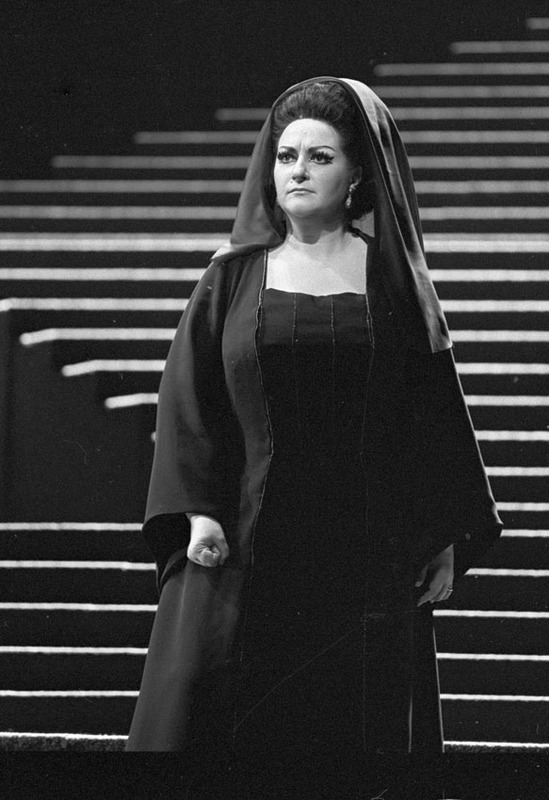 Marilyn Horne as Carmen and James McCracken as Don José at the Metropolitan Opera in September 1972. 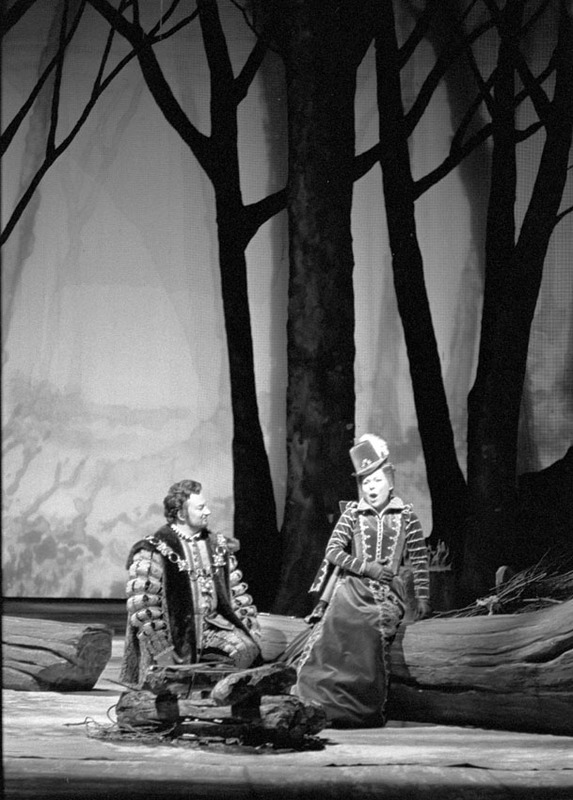 Jess Thomas as Siegfried, and Thomas Stewart as Gunther, in March 1974.
with Nicolai Gedda, and Sherrill Milnes, January 1974.
of Siege of Corinth with Justino Díaz, Shirley Verrett, and Harry Theyard in March 1975. 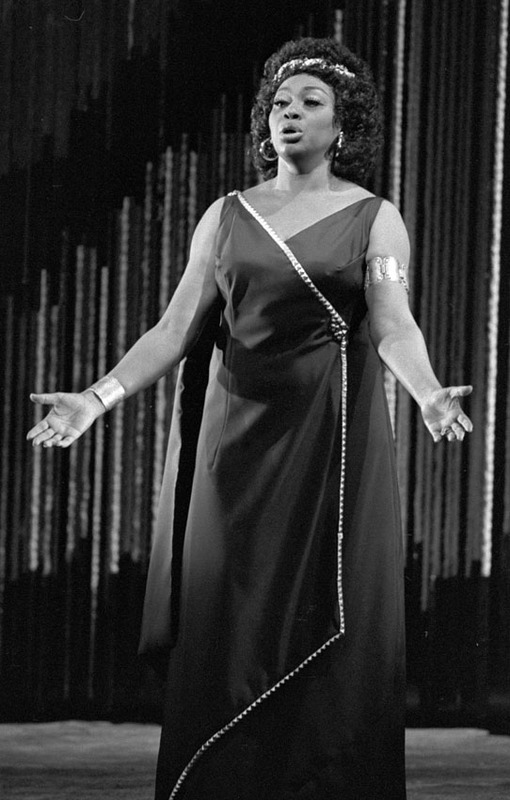 Leontyne Price as Aida at the Metropolitan Opera in January 1976. 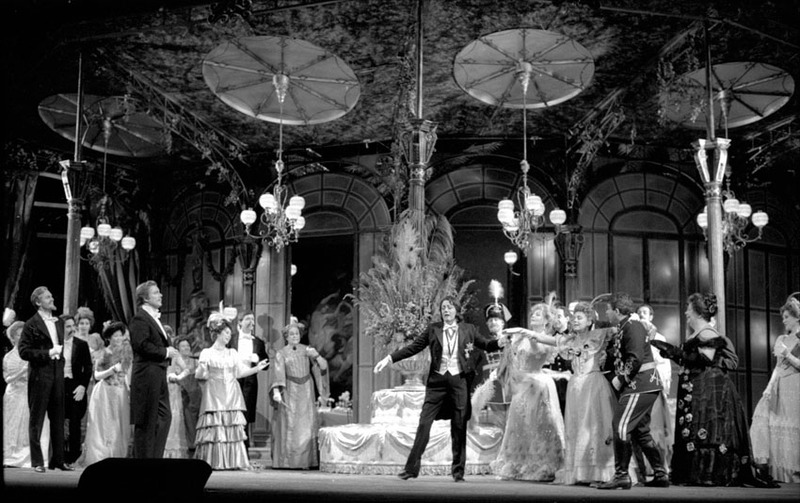 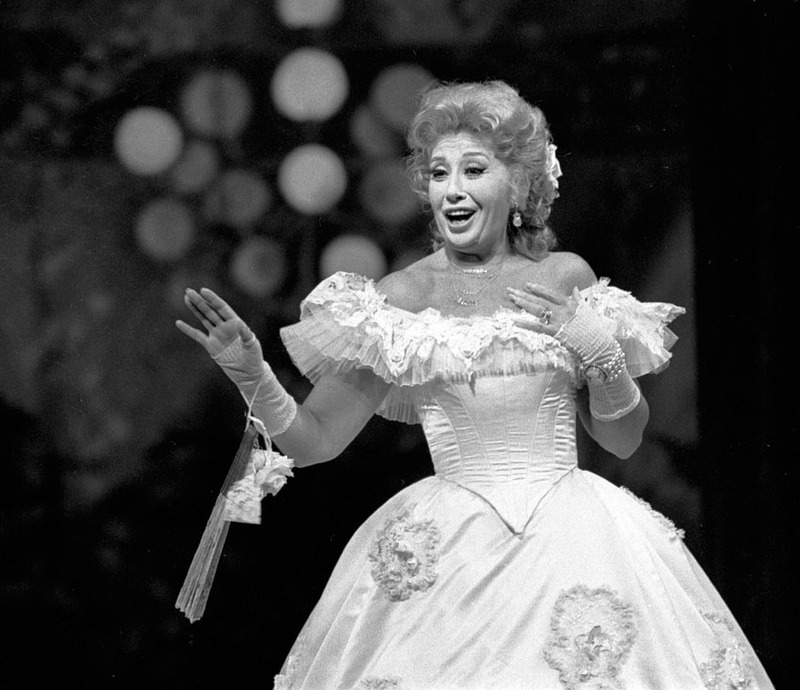 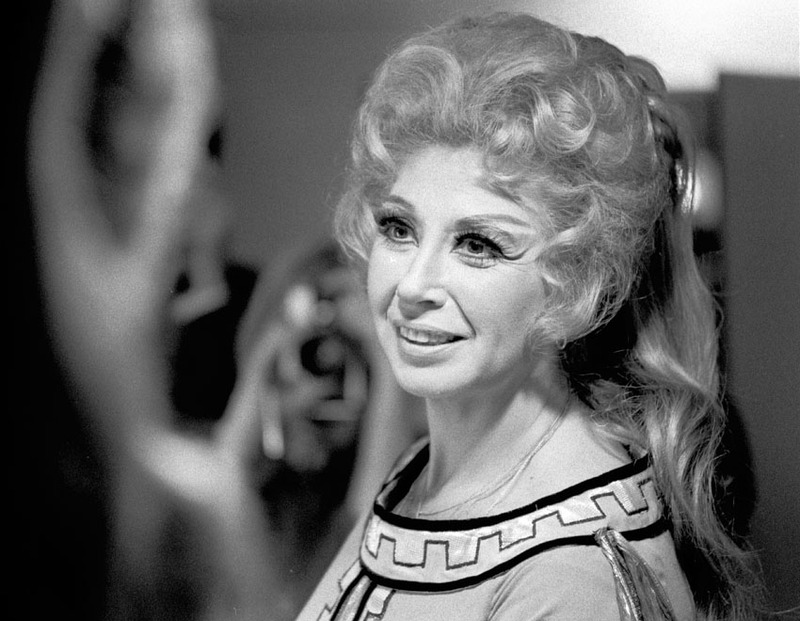 Metropolitan Opera's production of La Traviata starring Beverly Sills as Violetta in February 1976. 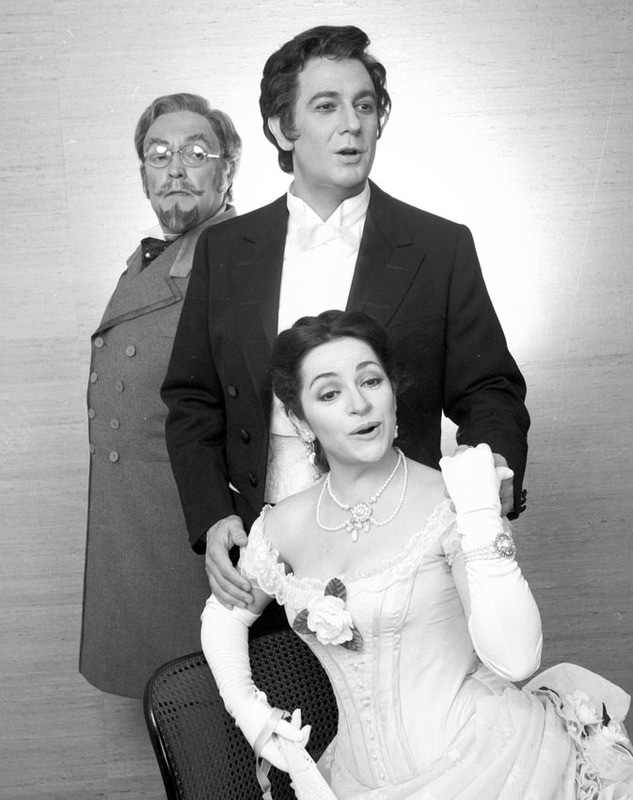 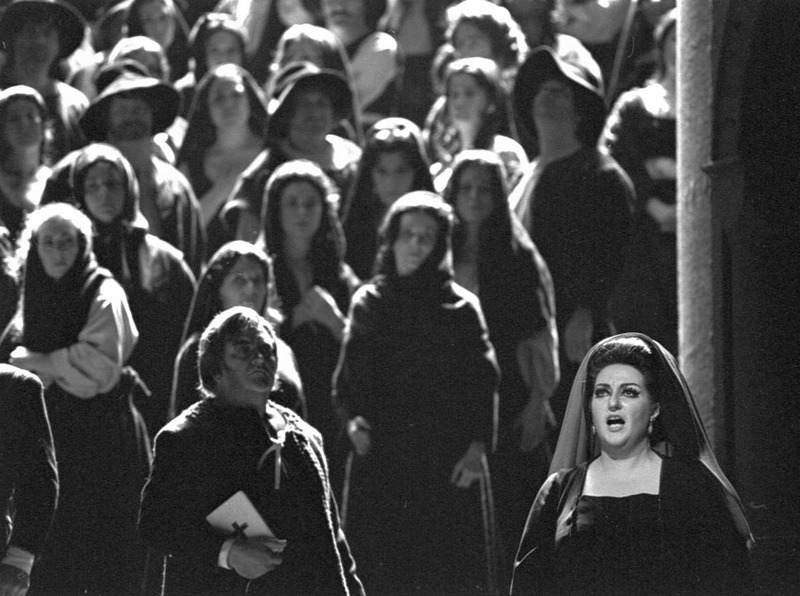 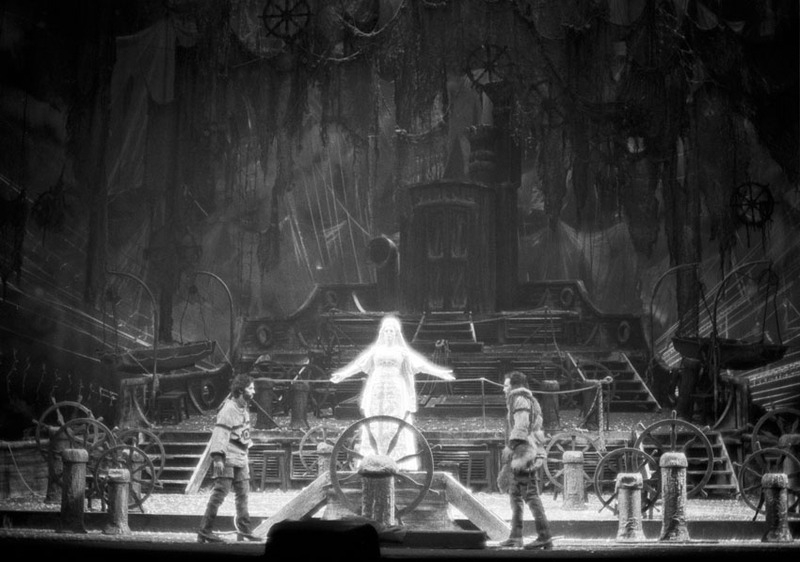 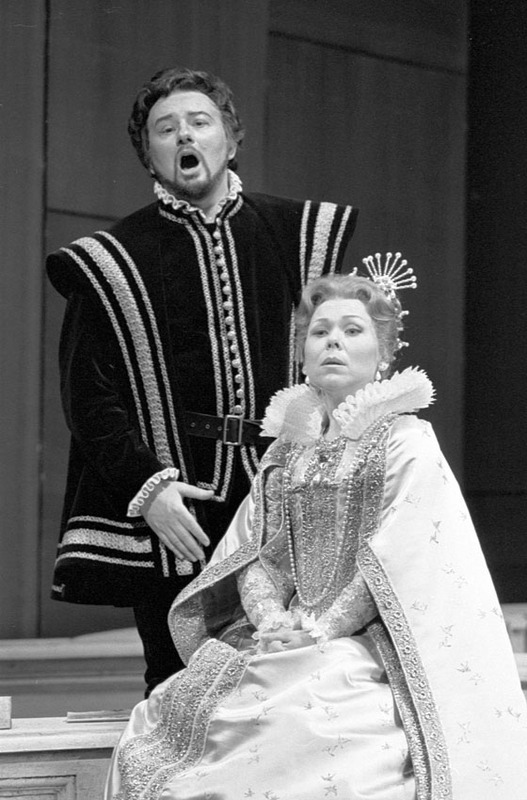 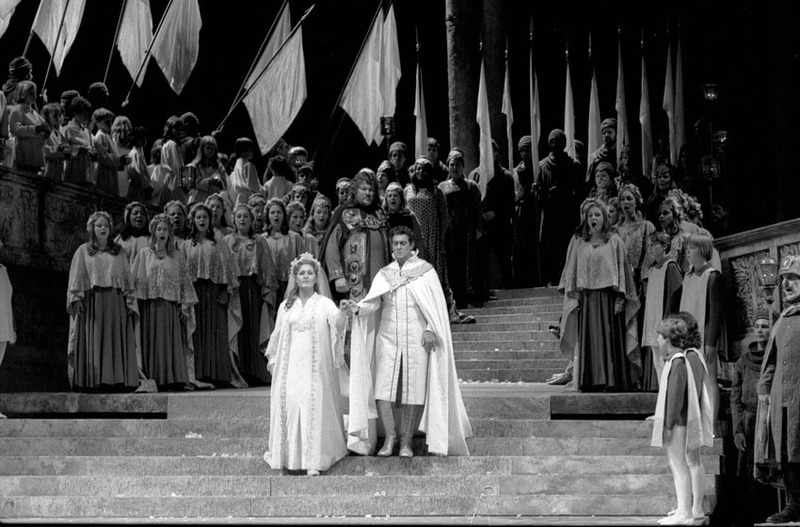 Giuseppe Giacomini as Don Carlo and Renata Scotto as Elizabeth of Valois at the Metropolitan Opera in February 1979.
with José Van Dam, Carol Neblett, and Robert Nagy in March 1979. 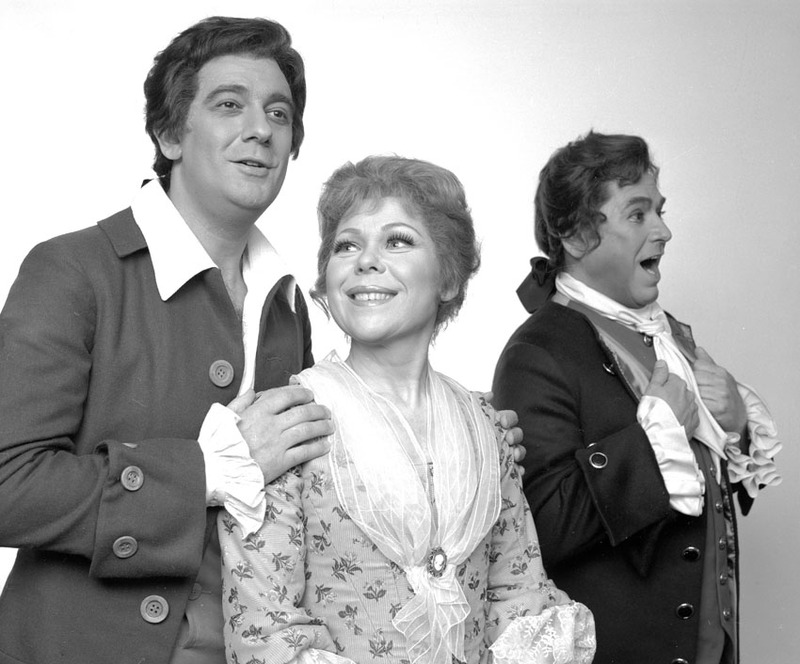 Richard Cassilly, Astrid Varnay, and Cornell MacNeil, in November 1979. 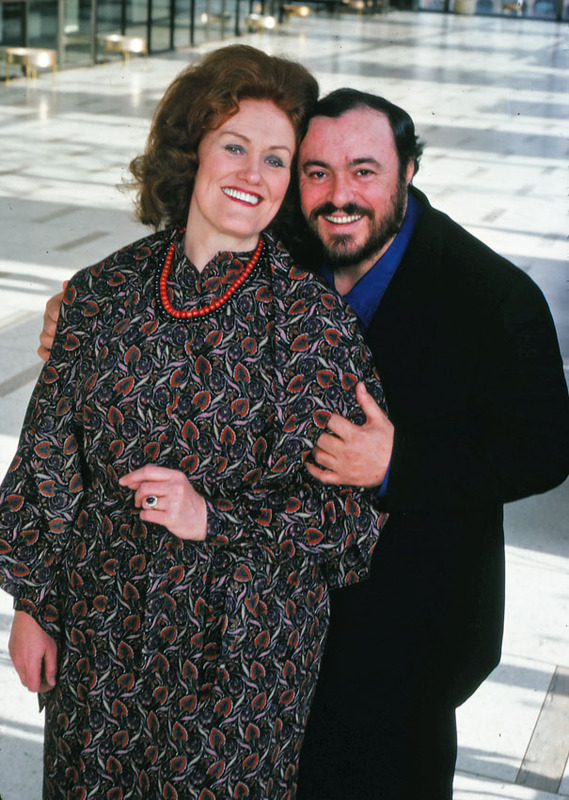 Jack photographed Luciano Pavarotti and Joan Sutherland in color at Lincoln Center in January 1979.
the stars of Metropolitan Opera's Manon Lescaut in March 1980. 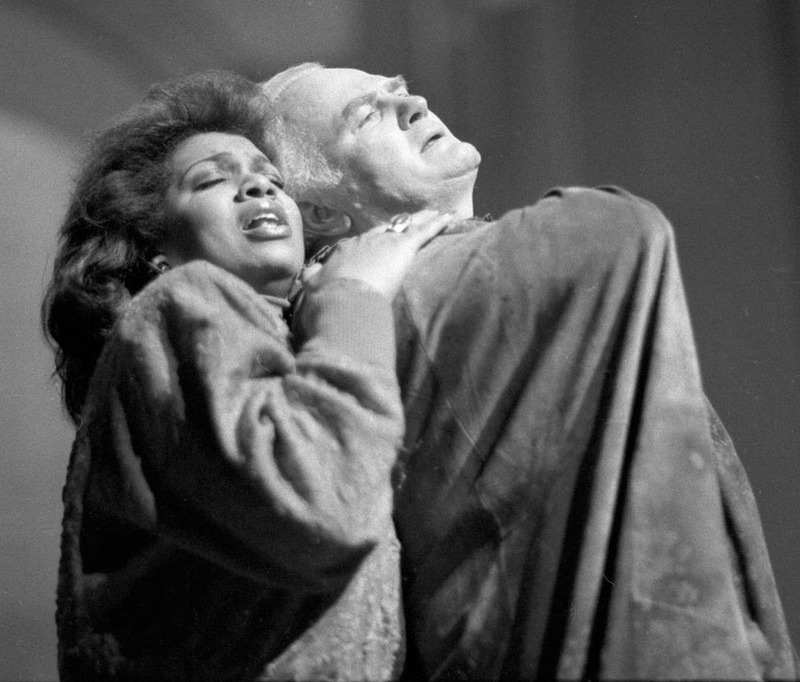 Plácido Domingo as Alfredo, and Cornell MacNeil as Germont, March 1981.
of Macbeth at the Metropolitan Opera, November 1982. 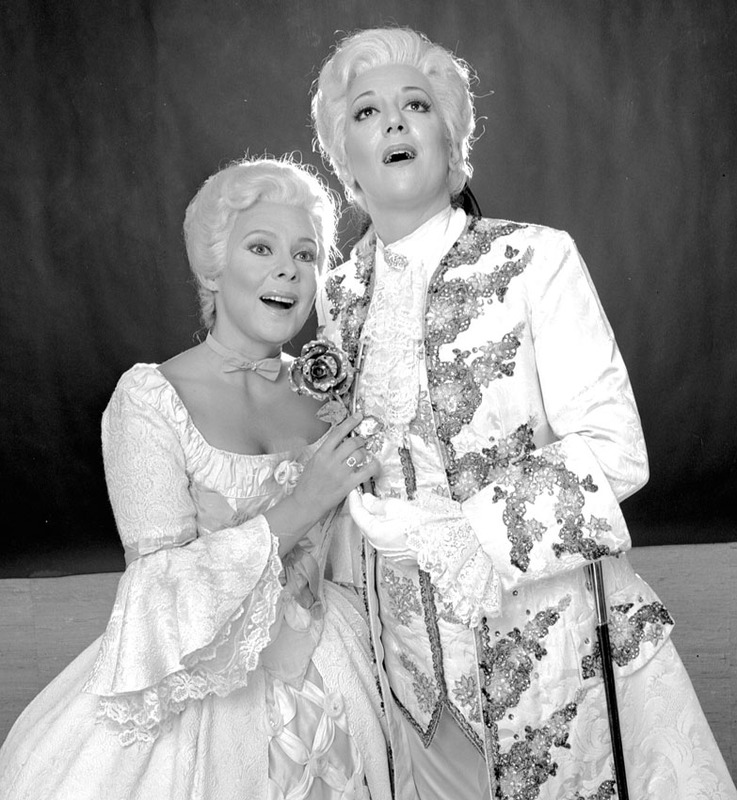 Tatiana Troyanos and Judith Blegen in Metropolitan Opera's Der Rosenkavalier in September 1982. 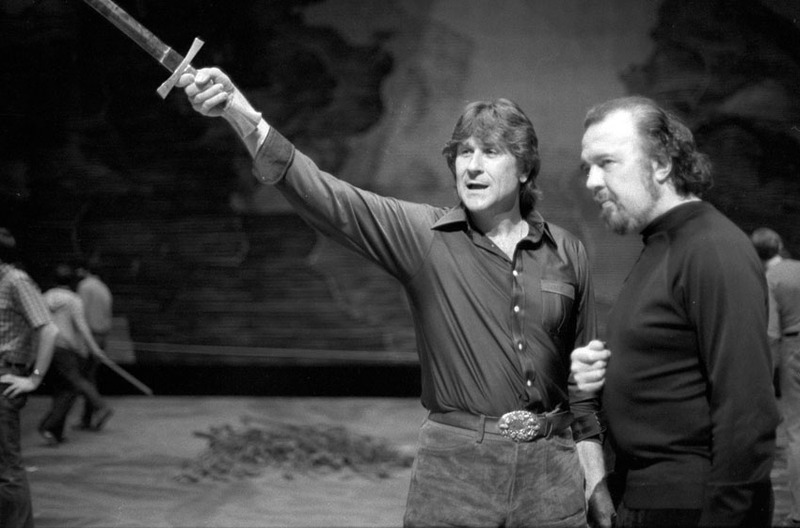 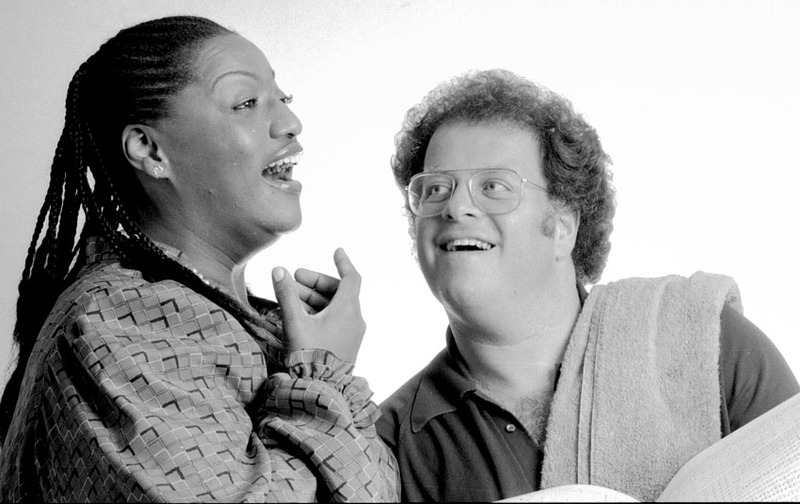 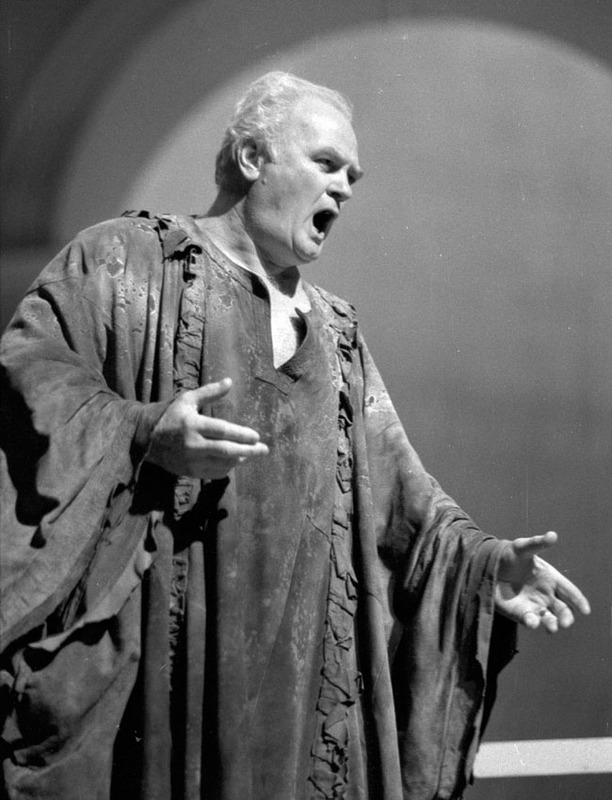 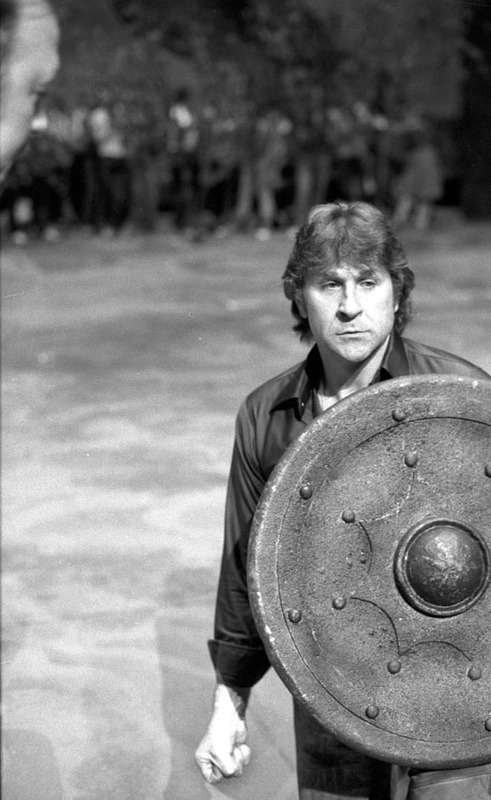 Jesse Norman rehearsing for Les Troyens with Music Director James Levine at the Metropolitan Opera in September 1983. 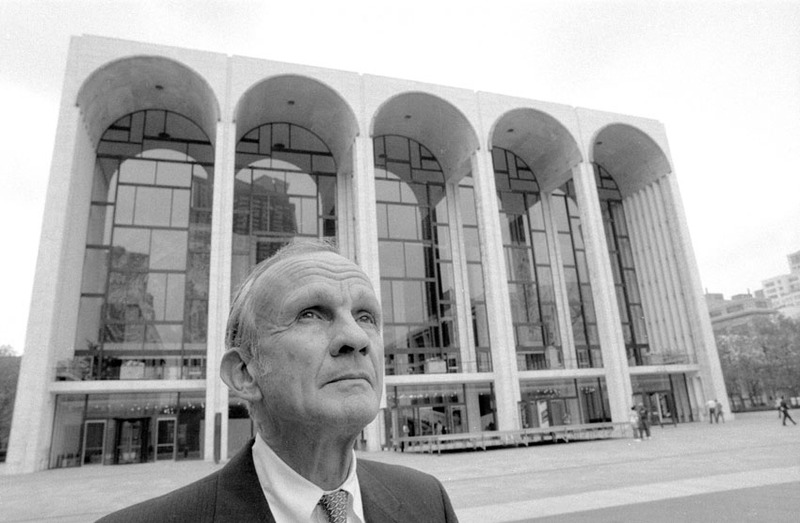 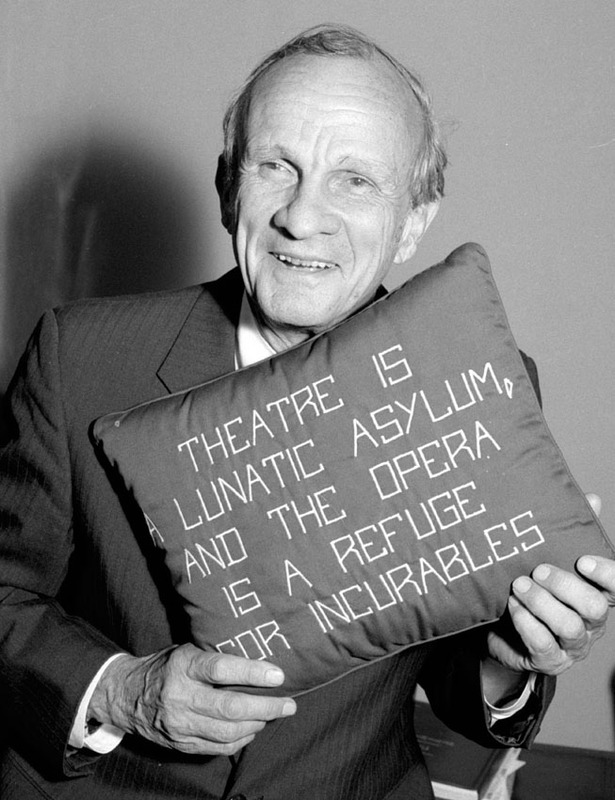 Jack photographed Metropolitan Opera Executive Director Anthony Bliss in October 1984 just before he retired. 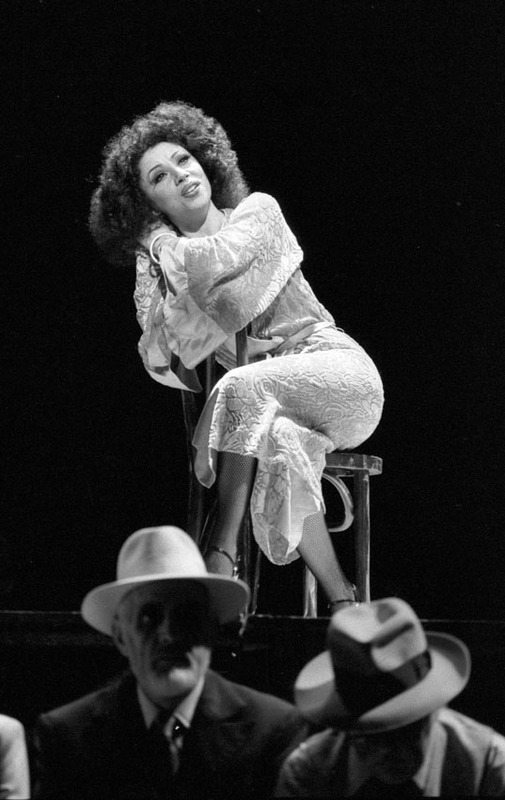 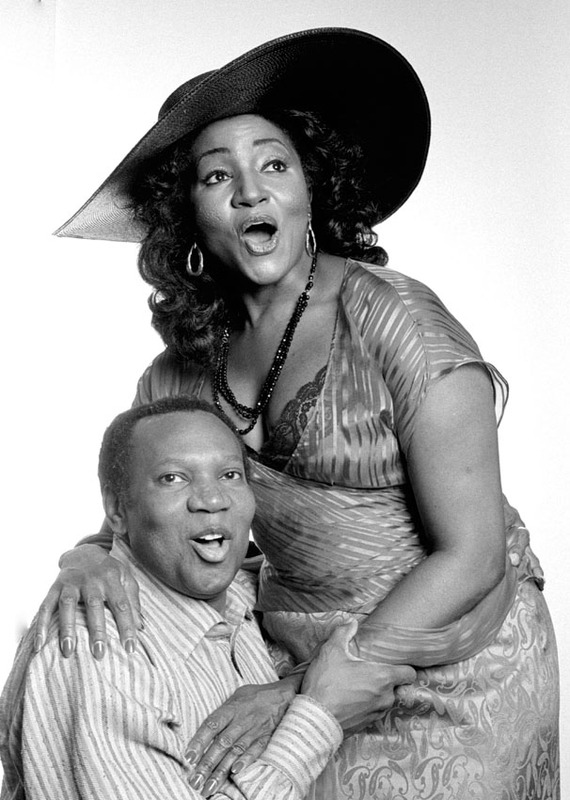 Anna Tomowa-Sintow and Eva Marton, October 1984.
for the Metropolitan Opera's production of Porgy and Bess, in January 1985. 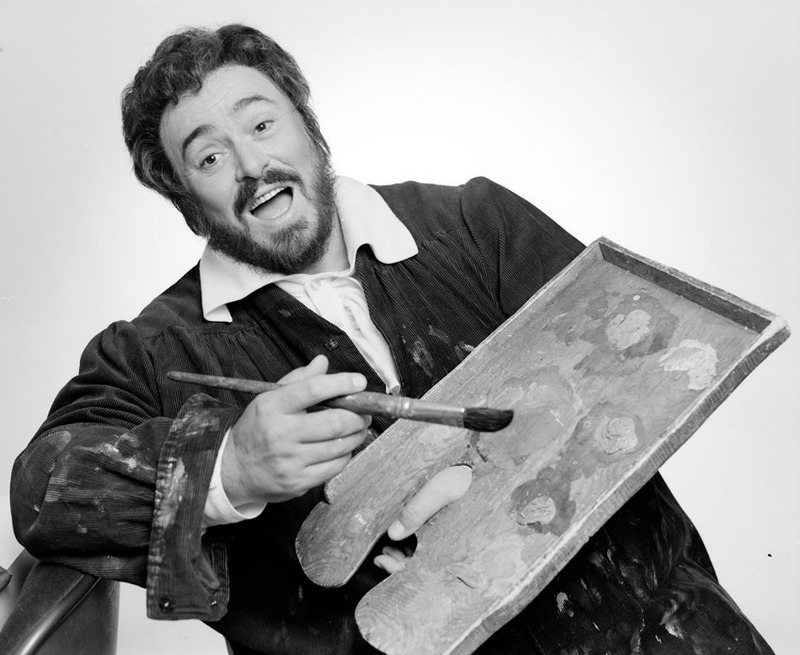 Italian operatic tenor Luciano Pavarotti in the Met's season premiere Tosca, in September 1985. 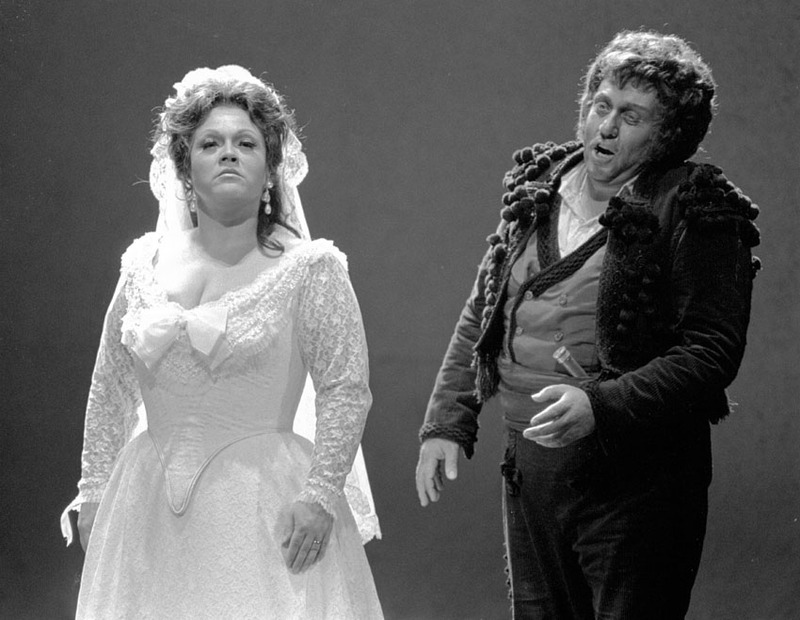 Tatiana Troanos,Håkan Hagegård and David Rendall, in December 1986.
as Delilah at the Metropolitan Opera in February 1986.